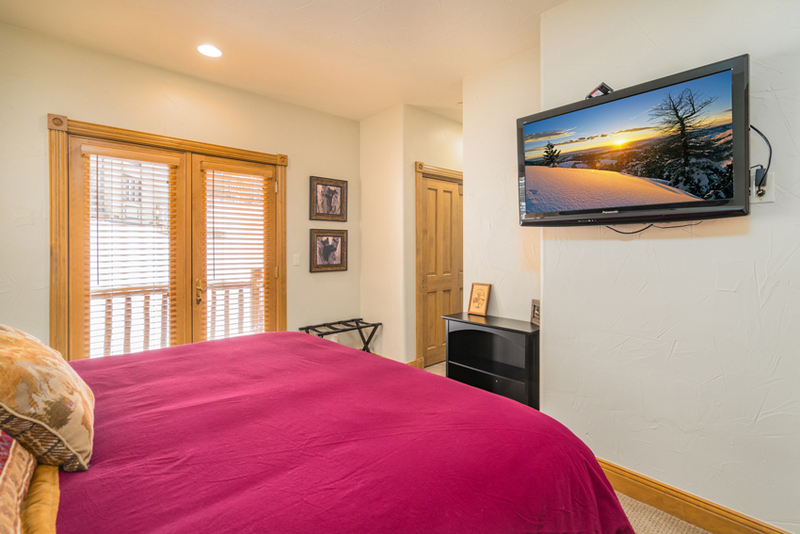 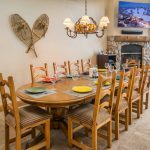 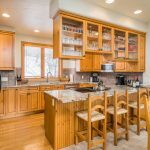 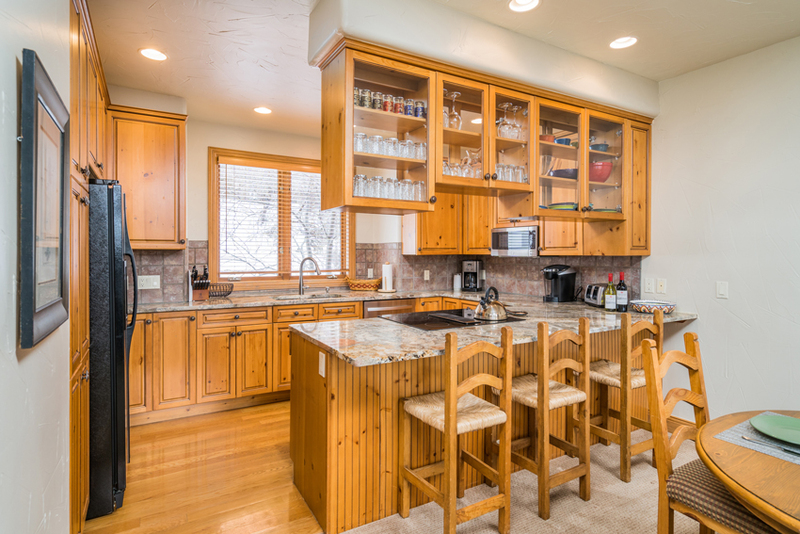 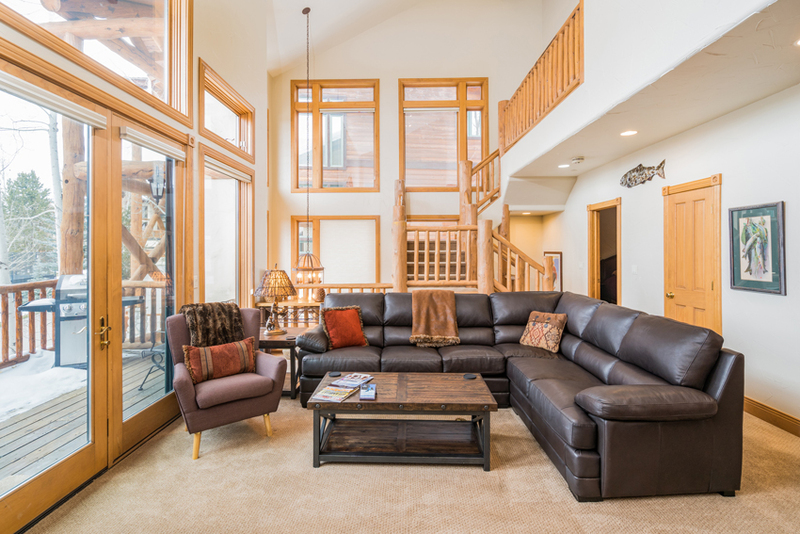 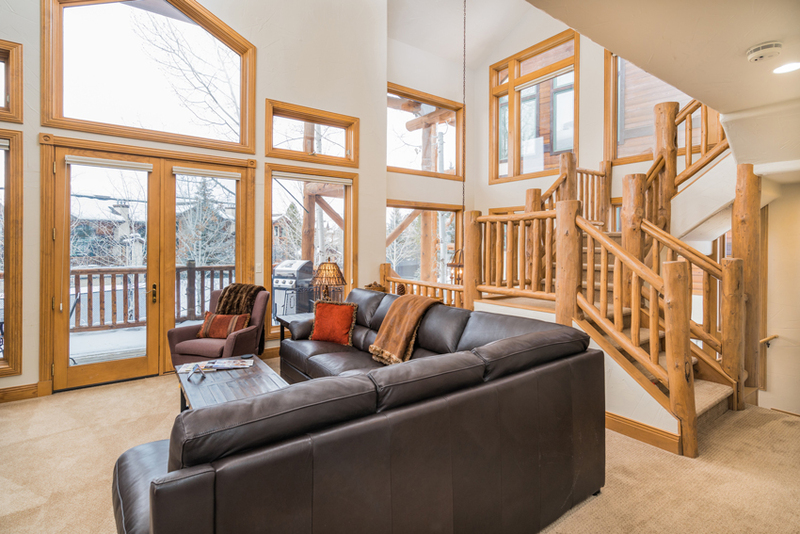 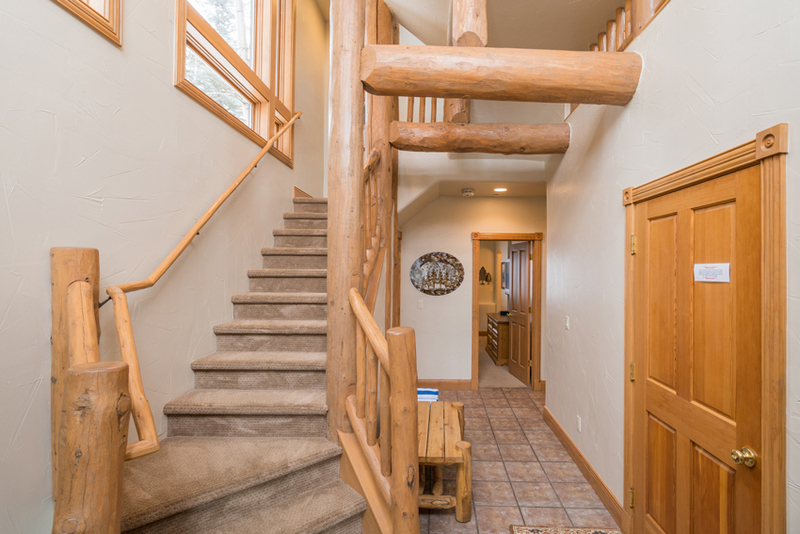 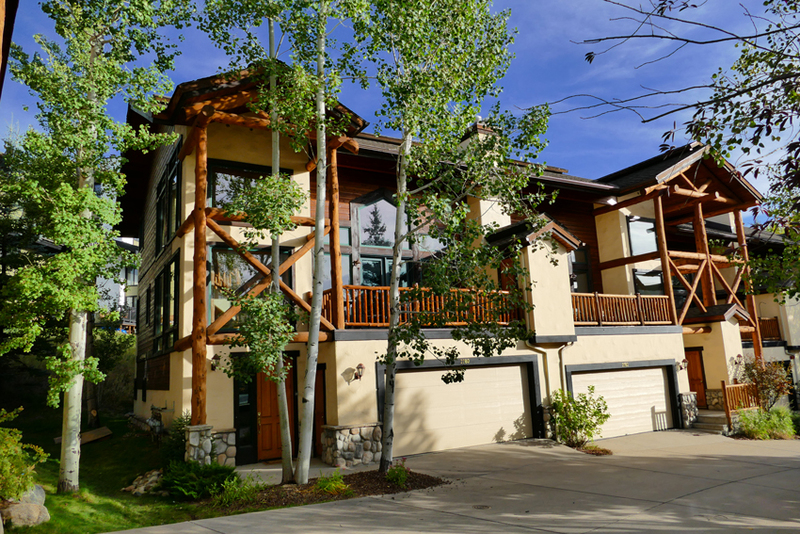 Cross Timbers at Steamboat has an ideal location just 200 yards to the Ski Area. 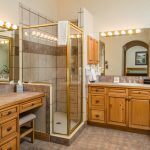 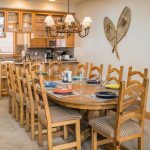 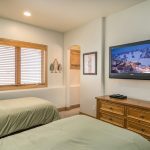 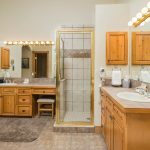 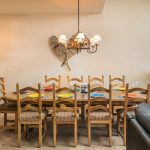 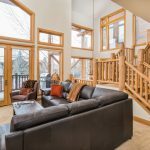 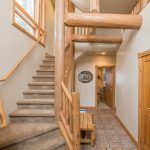 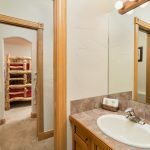 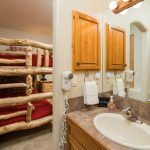 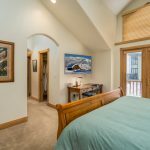 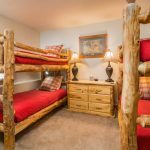 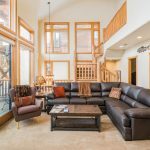 CrossTimbers with its unique character design of logs, river rock, stucco & rough cedar will plunge you into the mountain lifestyle and the Yampa Valley’s western heritage. 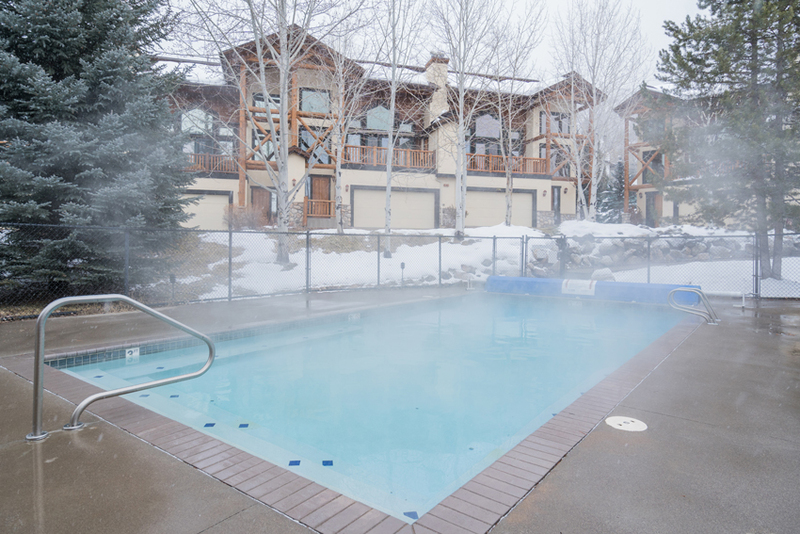 This glorious complex provides a heated outdoor pool, common area hot tub & sauna with a tennis court during the warmer months. 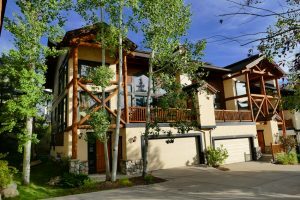 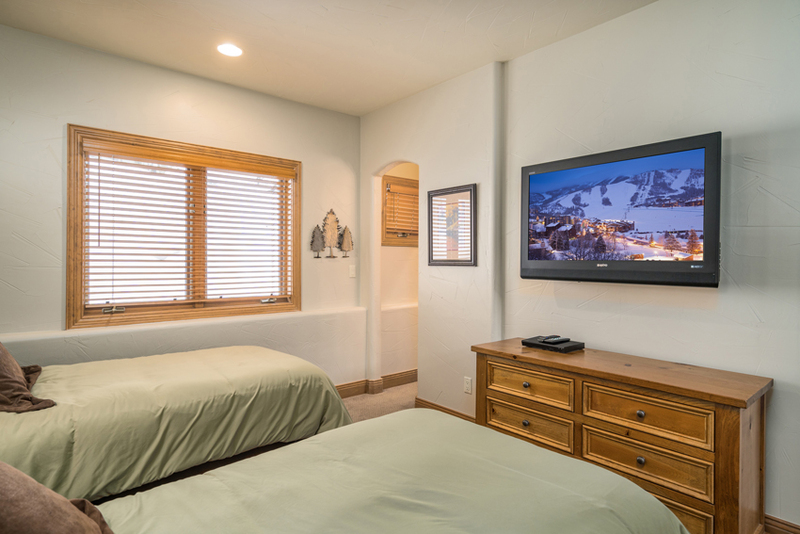 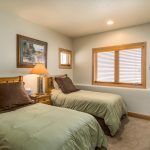 For ease, the driveway is heated and there is an on-call shuttle during ski season that will take you to and from the ski area during the day. 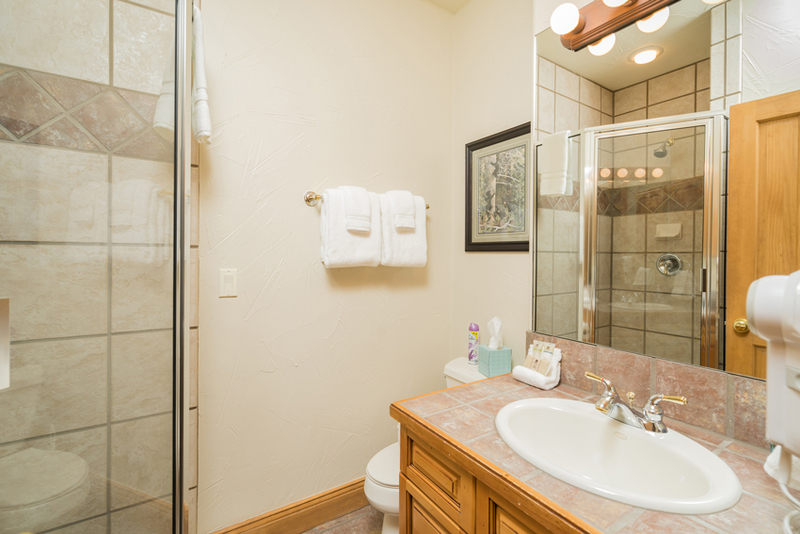 Additional parking located under the tennis court. 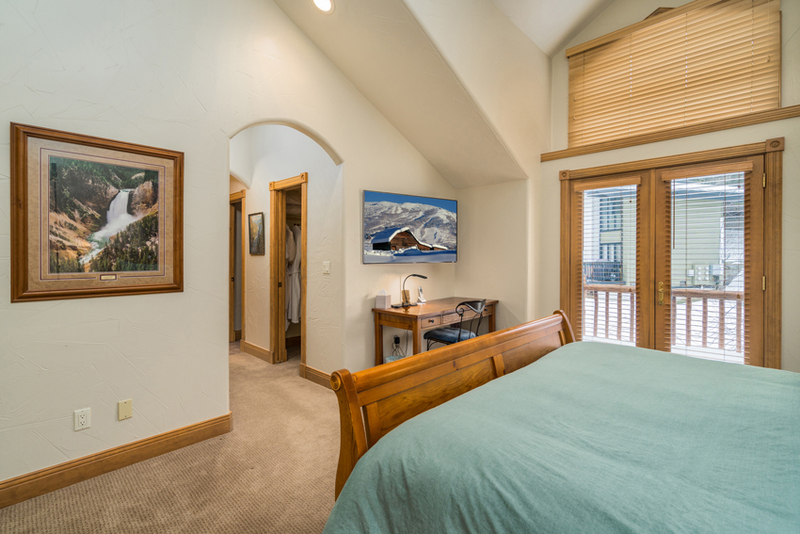 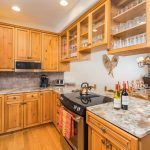 This 3-level, 2,300 square foot corner townhome has 4 bedrooms and 3 ¾ bathrooms with a large 2-car heated garage. 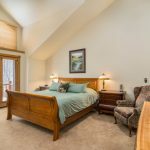 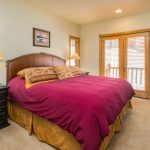 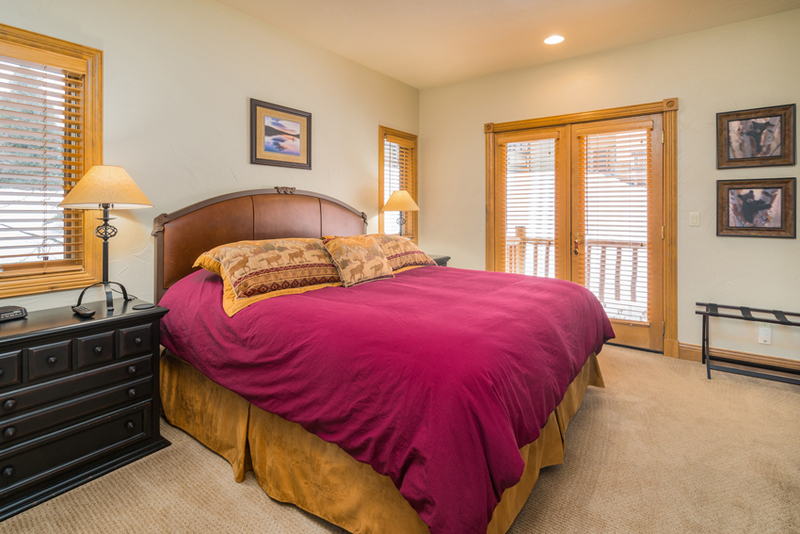 The top level offers complete privacy from everyone with the huge master suite. 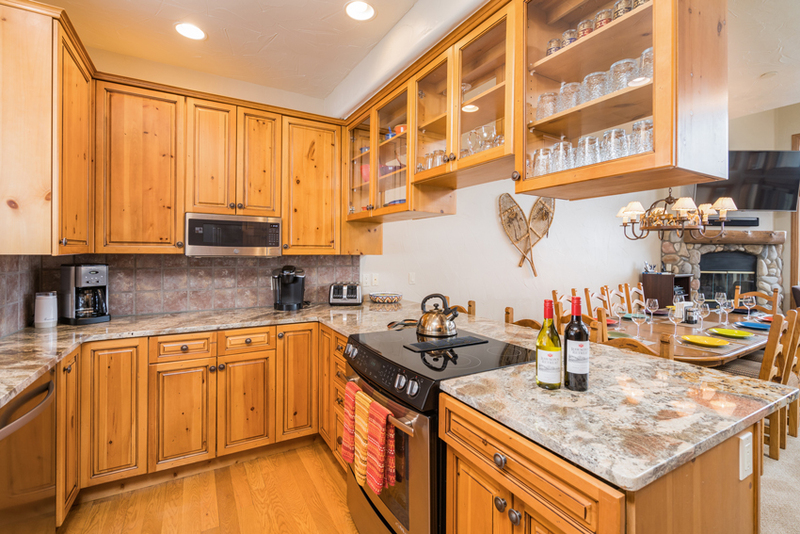 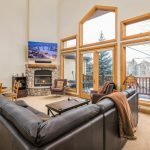 The main level with its enormous vaulted ceiling & impressive windows feature a well appointed kitchen with new stainless steel appliances, granite countertops and stocked with everything for entertaining a large group. 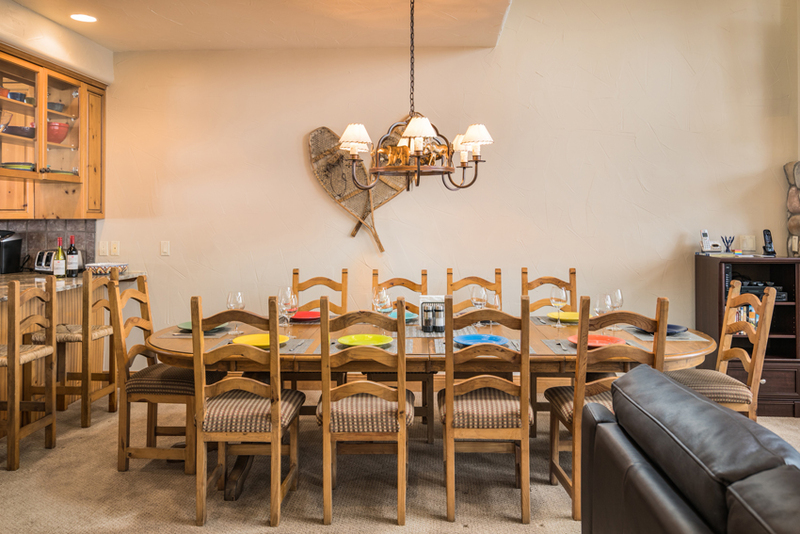 The dining table seats 10 comfortably. 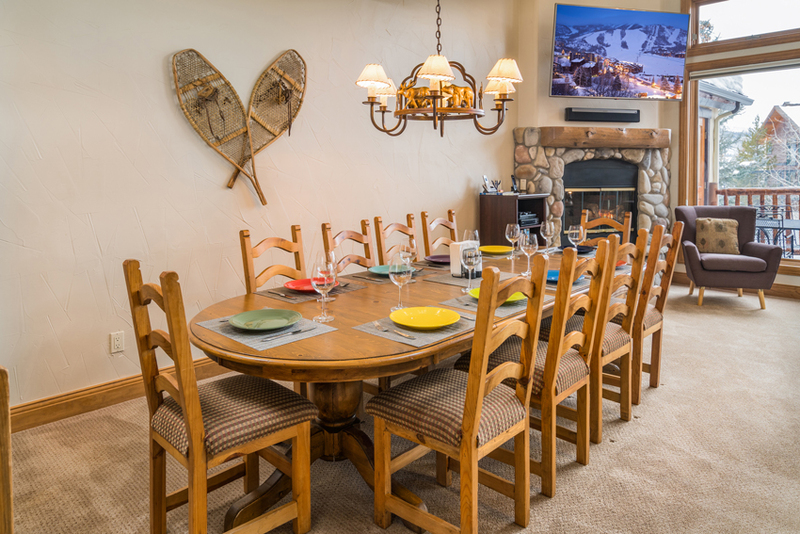 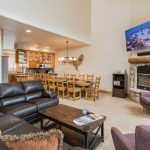 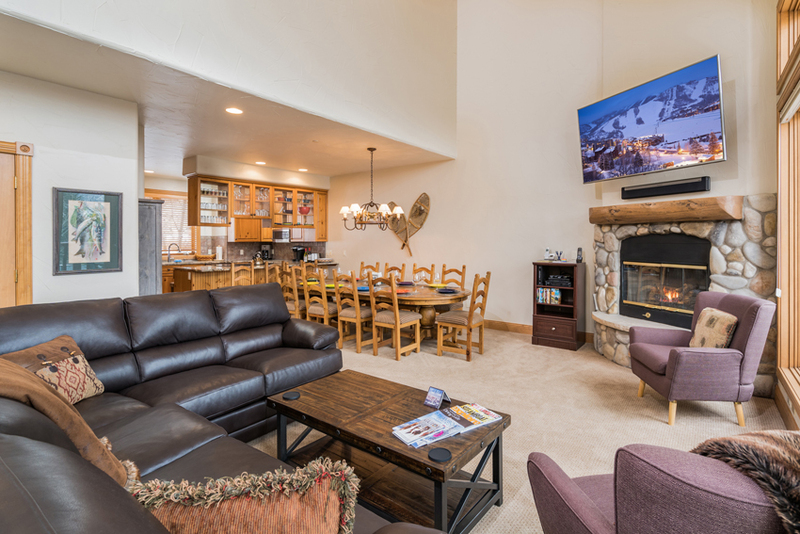 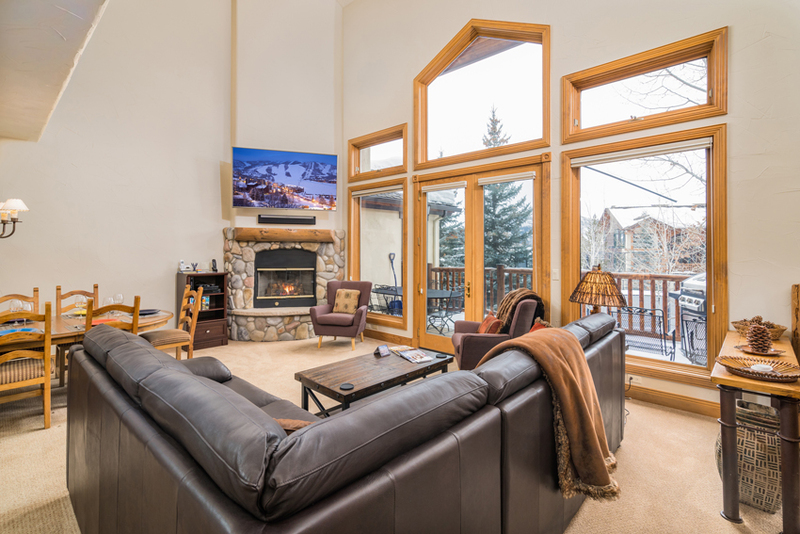 The living room has all new furniture and an impressive 70″ TV mounted above the cozy gas log fireplace. 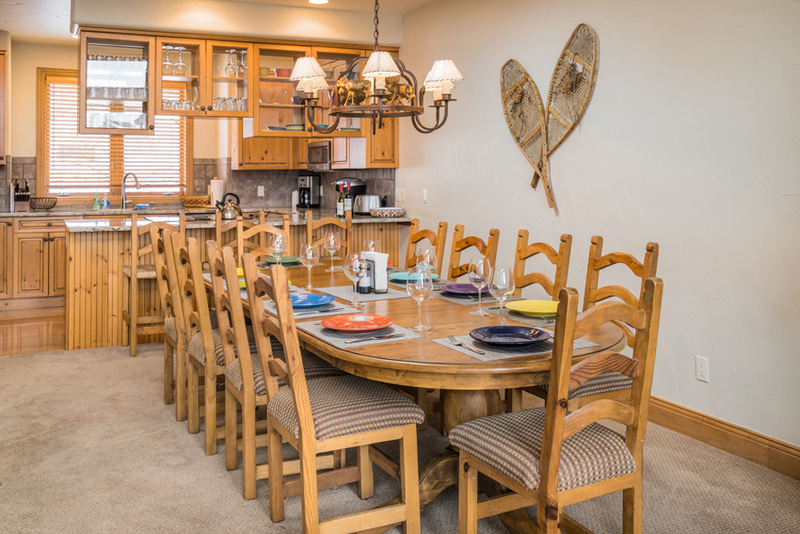 The sizable deck located off the living room has an outdoor table & chairs with a BBQ gas grill. 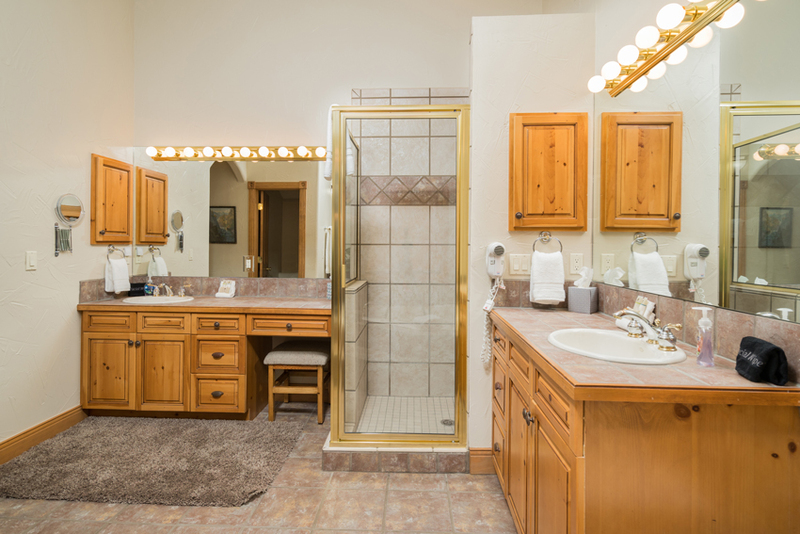 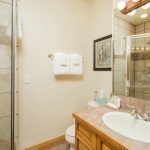 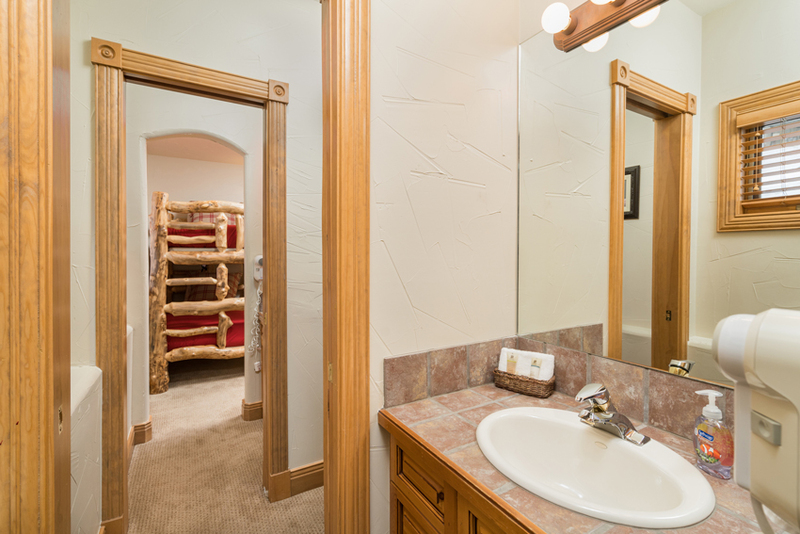 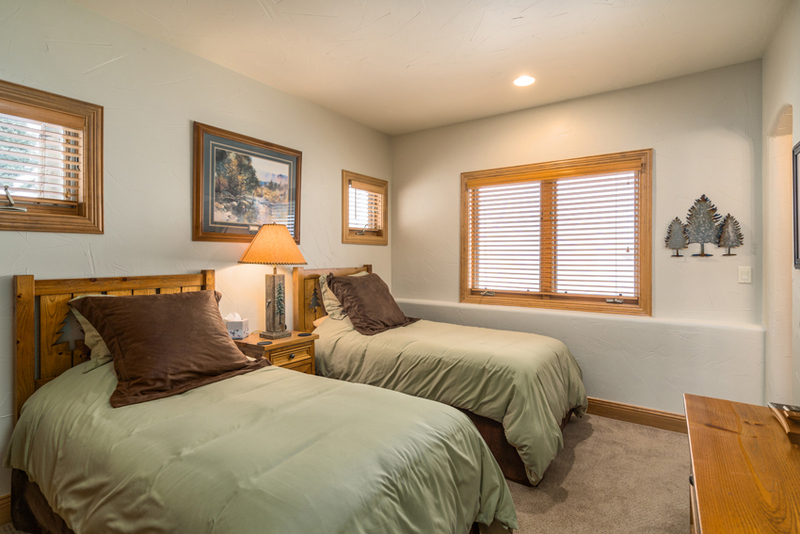 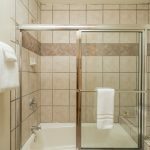 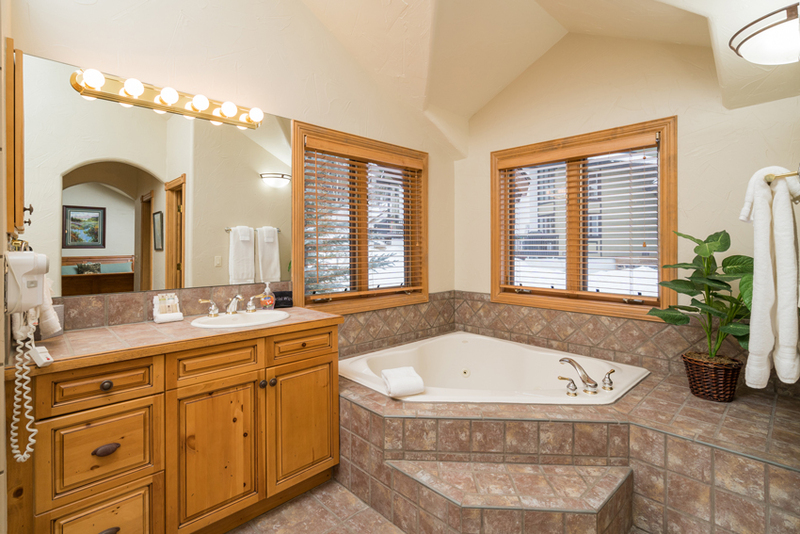 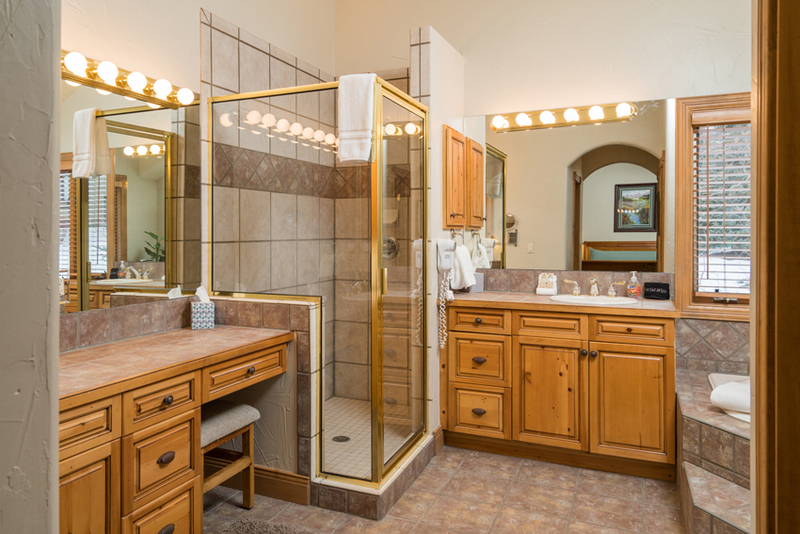 The main level also has a powder room and another king bedroom with a private bathroom. 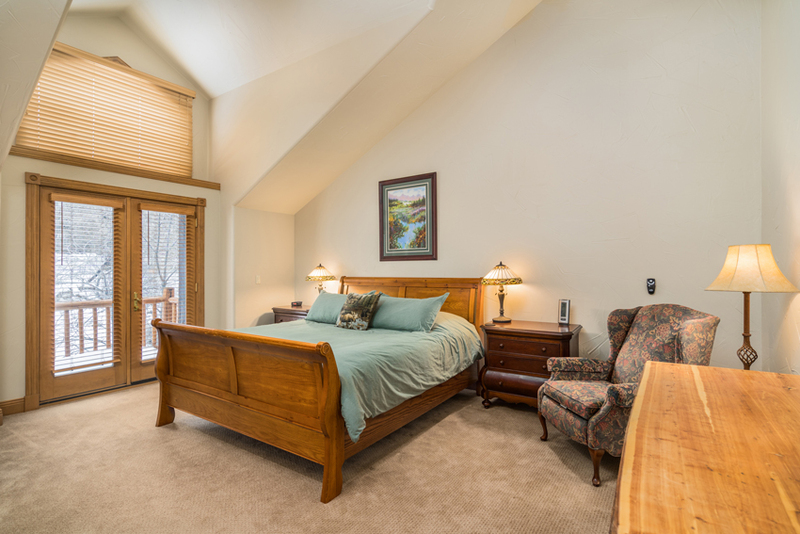 The lower ground level provides 2 more bedrooms and laundry room. 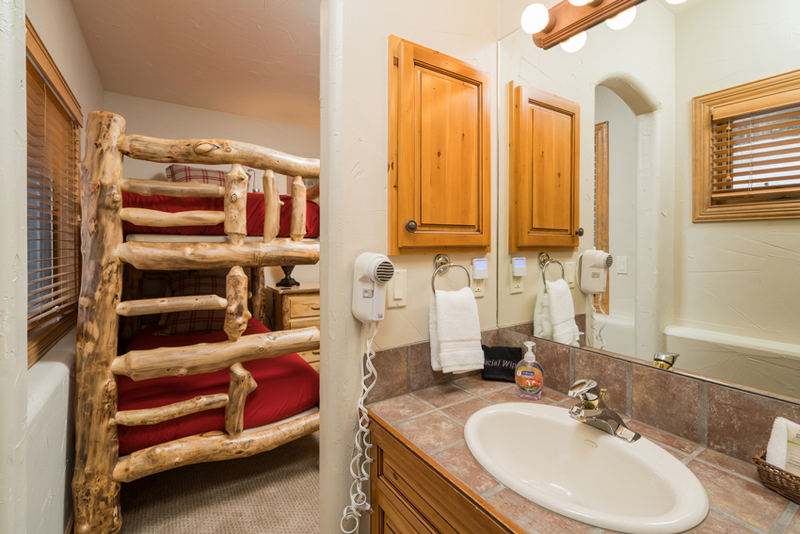 This vacation rental provides lots of beds and space for everyone. 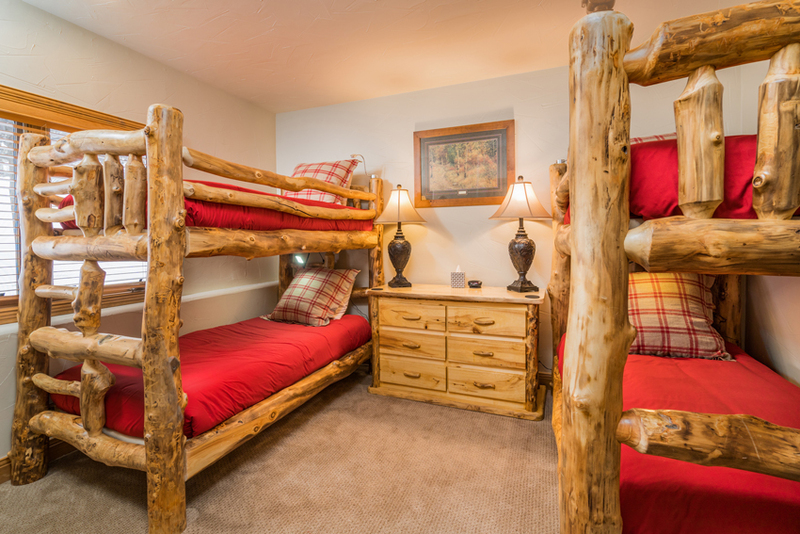 Staying here will not only be comfortable but will create memories that will last a lifetime. 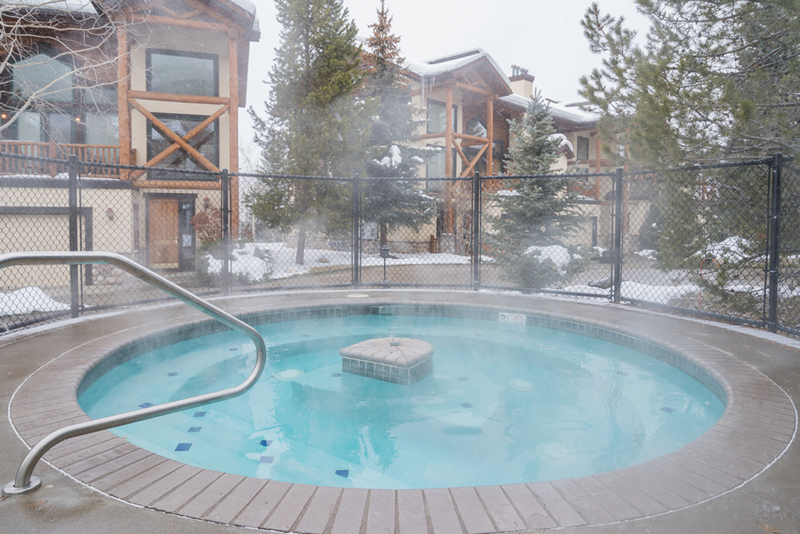 Shuttle service to and from the ski area from 7:30am – 5pm. 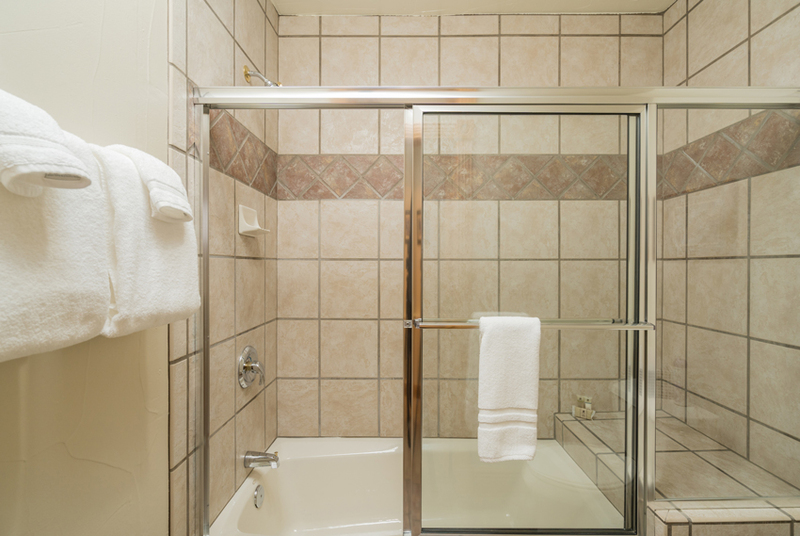 Sales tax, lodging fees and security damage protection fee not included in above rates.